Israel protests India's vote for UN General Assembly resolution condemning American recognition of Jerusalem as Israel's capital. Israel has protested to the government of India over the Delhi government's support of the recent motion at the United Nations General Assembly calling for the cancellation of United States President Donald Trump's declaration of Jerusalem as the capital of Israel, Maariv reported. 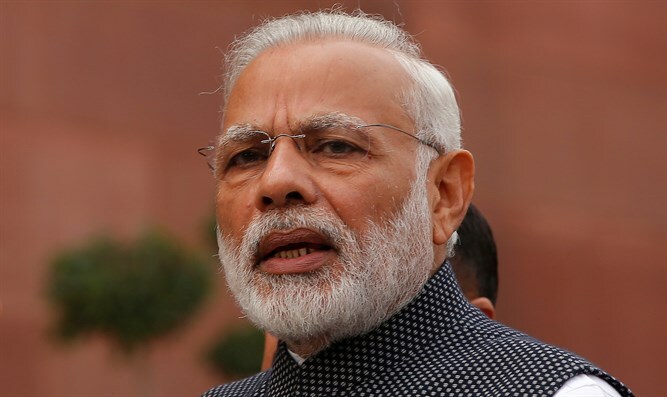 The protest comes two weeks ahead of Israeli Prime Minister Binyamin Netanyahu's reciprocal visit to India after the visit of his counterpart Indian Prime Minister Narendra Modi, this past summer. Israel's Foreign Ministry refused to comment. On Twitter, Indian citizens fumed at their government's decision to vote against Israel, Mida reported. "This isn't why we voted for you," the site quoted one person as tweeting. "Don't expect help from Israel after you betrayed them," another Indian tweeted. Times Now senior journalist Aditya Raj Kaul wrote, "In order to pacify the Arab nations, India voted against two of its closest allies...there's no logic in that." Meanwhile, the Arab League drafted a proposal to block Israel's bid for a seat on the the UN Security Council, Bahrain's media outlet reported. A vote on the proposal will be held on Thursday, and Arab League states are expected to do everything possible to convince other countries not to allow Israel into the Security Council.